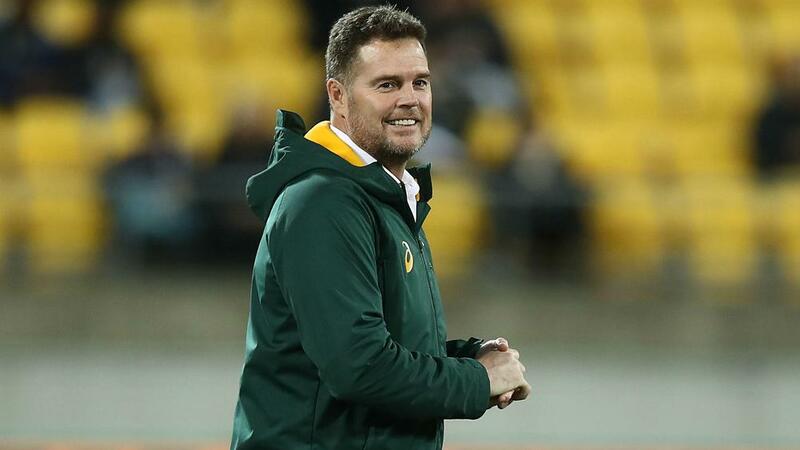 Rassie Erasmus has labelled South Africa's victory over New Zealand in the Rugby Championship as the greatest moment of his coaching career. The Springboks boss had conceded prior to Saturday's encounter in Wellington that his job was on the line following defeats to Argentina and Australia. "Definitely," Erasmus said when asked if this was his best moment during his time as a coach. "Not just because we beat New Zealand but we were very close to losing three in a row and that puts pressure on a team and takes belief away. "And we could have lost this game at the last minute, it could have gone totally against us. We were a bit lucky but very relieved. "When we started planning we thought if there's one way to come back it's to beat New Zealand in New Zealand. That was a month ago. "We lost those two games in a row and you lose some belief but we always targeted this game to say 'we can turn things and be real contenders at the World Cup'. "Again, we could have lost in the last seconds but this gives us a lot of belief. No-one beats New Zealand here, so we're very privileged to be one of those teams." "We're number six or seven in the world. We've got to catch up with Australia and England, there are so many teams ahead of us there's no way we can get ahead of ourselves," he added. "This is one win with a lot of luck against the world's best team. We'll enjoy it but if we ranked two or three we could say we were close to getting there, but we're far off. "We're definitely not where we want to be, there's a lot of hard work to do."